Learning how to throw a tomahawk is all about hitting the target. By crafting your own practice target for daily use, you can allow yourself the time to develop your skill while experimenting with style and technique. This page will tell you everything you need to know about getting the perfect target and setting up your own station. What can I use to make a target? Log rounds are the best targets to throw at, especially thicker ones. When one side is too chopped up, you can always turn the log around and use the other side, or cut off a few inches. A standard target is 16" so it's recommended that you get a log which is at least 20" in diameter. This is perhaps the easiest way to make targets from. 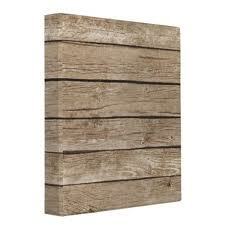 To build a good target out of planks of wood, you need to get about four 2x12 planks, about 6 feet in length. Lay them out next to each other and attach them in the back with a few 2x4's and some screws. Place a 2x4 on top, middle and bottom of the planks and screw them down. Think planks aren't always recommended but for beginners, this can be a good way to start. What are the best type of wood for targets? 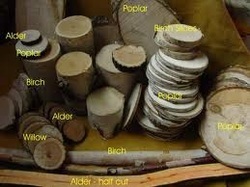 These are some just wood types that you can use to create a target. If you can't find any of these woods, you can use whatever kind, as long as you'll be able to cure and season it. What is a target stand? You can nail a couple of 2x4 legs to the back of your target and position it in a "V" pattern. You can lean it against a tree or you can use another piece of wood to make a tripod stand. This type of stand can be knocked over easily if not constructed properly. Nevertheless, this is the easiest and simplest stand to make. The picture shows a Sycamore target supported by timbers on its sides. The target is just leaning against the tree and can be simply turned around if the face gets too chopped up. Since this type of target is heavy, you need to position it in a way that it won't fall forward. The blocks around it are there simply to protect the tree from the missed throws. This type of stand is very easy to move around and can hold heavy targets. It is most useful for large target blocks, and allows for the rotation of the block to other side. To make this, you need 2x6’s to have a more sturdy block support. Front legs are measured at 48” long with a 6” hinge block screwed to the top end. There is a 2.5″ or 3″ heavy duty hinge that connects the 2 front legs together as shown in the photos. About 12″ from the top is where the 42″ long back legs will attach with a 3.5″ x 1/4″ bolt with washers and a wing nut. The top inside corner is cut at an angle so it doesn’t interfere with the target block. The 9″ long block support arms, as mentioned, can be either 2×4′s or 2×6′s and can be attached with screws anywhere on the front legs depending on how big the target block is that you are using. Use at least 3 screws spread apart vertically as much as possible to resist the downward force that a heavy target will apply. We use screws instead of nails as it is easier to replace the arms or move them if need be. It is important that the top of the target block cover the top of the stand so that you do not hit the top of the stand, or more importantly the hinge as that will chip your tomahawk blade. That can also be adjusted somewhat depending on how far apart the front support legs are set.. The heavy duty stand is made out of landscape timbers and can easily hold up your largest targets. It certainly is not very portable unless you have a pick-up truck, but it is easily moved around the yard as long as there is not a target block on there while moving it!You can build this by using five 8′ landscape timbers and a 3′ section of treated 2×4. To hold it all together you can use two 6″ long x 1/2″ hex bolts and two 8″ long x 1/2″ hex bolts and about six nails. A chain saw was used to cut the various weird compound angles to create “flats” on the timbers to get it bolted together solidly.